British company Chalmor recently launched low cost and elegant thermostatic electronic radiator valve eTRV. It’ll be good option for home owners who would like to control heating system but don’t want to have any complicated control system. The eTRV is controlled by slim remote control which allows to setup desire temperature mode and get feedback about current one. It costs just £60 and can swap easily existing thermostatic radiator valves. The Chalmor tells using of the eTRV might save on gas or oil central heating costs by typically between 15% and 25%. 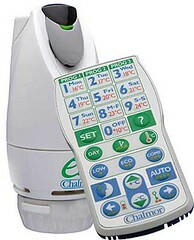 If you’re interesting to use the eTRV you may buy it on Chalmor web site as well as get more info about it and its remote control. 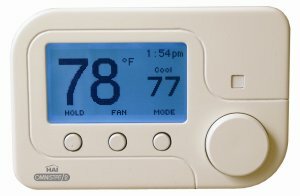 HAI (Home Automation, Inc.) has been introduced its new energy efficient line of its thermostats – Omnistat2 at the CES2008 last January. It was named an Innovations 2008 Design and Engineering Award honoree in the Home Appliances product category by the Consumer Electronics Association (CEA). The Omnistat RC-1000 supports conventional and heat pump systems, and dual fuel with 2nd stage auxiliary heat. The Omnistat RC-2000 has all of the features of the 1000 but adds humidity control and supports 2 stage conventional and 2 stage heat pump with 3rd stage auxiliary heat systems. 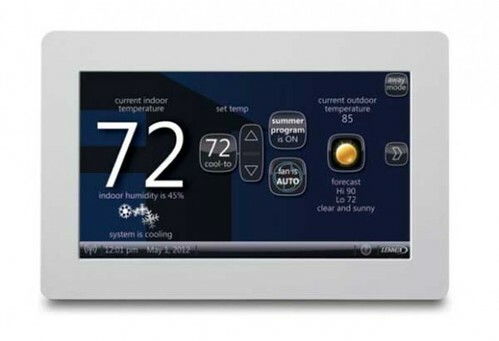 The Omnistat2 is a 7-day programmable communicating thermostat designed to precisely control the temperature and humidity within the home. 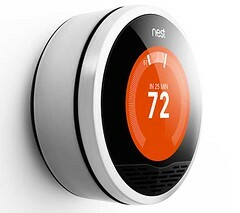 It can “learns” a home’s heating and cooling patterns and adjusts control to maximize both the HVAC system’s efficiency and the occupants’ comfort. The Omnistat2 is able to communicate with HAI and most home control systems (it’s good if you prefer different smarthome software) for coordination of energy savings with daily activities, such as “Home”, “Away”, or “Vacation”. It can be controlled from within the house or remotely through the telephone or Internet through HAI’s control systems and accessories. Additionally it can communicate with utility metering systems to allow for real time energy cost and usage to be displayed directly on the thermostat. So, homeowners can visualize and understand their consumption, and to be able to reduce it whenever possible. The first two models in the Omnistat2 line, the RC-1000 and RC-2000 will be shipping in the second quarter of 2008. The price is not tagged yet. INSTEON Thermostat Adapter offers a simple and efficient way to add your Totaline / Venstar thermostat into your INSTEON network. It’s plugged into the jack on the bottom the thermostat and should be linked to the INSTEON controller, using INSTEON’s simple Plug-n-Tap setup. After that you’ll able to control the temperature from the controller and receive back its current value. The INSTEON Thermostat Adapter doesn’t require battery. It’s powered by the thermostat. Just note that the INSTEON Thermostat Adapter is not compatible with X10. 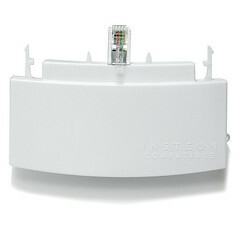 The INSTEON Thermostat Adapter is expected to be available from 15/02/2008 at price $99.99.